Naphthalene Ball Making Machine is a good option for Small Business and to be self-dependent by investing little money. Naphthalene Balls are used to prevent from the attack of insects. With the Naphthalene Ball Making Machine, you can make Naphthalene Ball and after packing it you may sell it or supply orders from local market. It needs a Govt. License to start this business. You can buy Naphthalene Powder from the market. It is available in the market of Barobazar Bournfield Lane. The price is approximately Rs.150 per kg. At first buy Naphthalene Powder and some necessary chemicals. 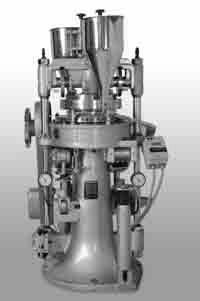 Now you have to pour the powder and chemicals of indicated quantity in the hopper of the machine. You may use different dies for making different sizes of Naphthalene Balls. Now start the machine and Naphthalene Ball will be made automatically. The price of the Automatic Naphthalene Ball Making Machine is approximately Rs.55, 000 and the price of each dies is approximately Rs.1000. The price of the semi automatic Packet Sealing Machine is approximately Rs.20, 000 and price of the hand-operated packet sealing machine is approximately Rs.1, 000. You can find many companies manufacturing a wide range of Coil Binding machine. Their machine matches high technology electronic control.